We’re kindly asking anyone who has recently visited Greece, either on holiday or as part of a business trip, to take part in our short survey on tourists’ road safety in Greece. The aim of the survey is to capture international tourists’ perceptions of road safety and mobility in Greece. This will help us identify problems and develop policy and industry-wide recommendations for improving road safety in Greece more generally, as well as for tourists! For the past two decades Greece has been one of the leading destinations for tourists in the world. However at the same time, Greece has one of the worst road safety records in Europe. In addition to gathering tourists’ general perceptions of road safety in Greece, this project will collate hitherto neglected data on the number of tourist road fatalities and injuries in Greece. The survey is primarily addressed at international, incoming tourism in Greece and is being jointly conducted by three Greek universities: the National Technical University of Athens, the University of Macedonia and the University of the Aegean with support from EASST and Make Roads Safe Hellas. All responses will be treated and analysed on an anonymous basis. 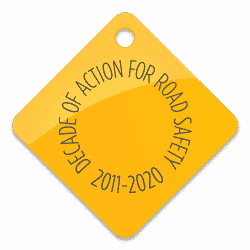 The results of the survey will be presented at the biennial conference of the Global Alliance of NGOs for Road Safety in Chania, Crete in April 2019, and will be available to download from our website shortly after.